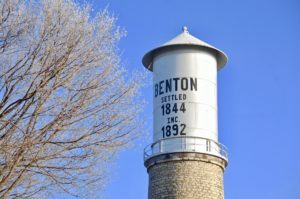 Benton has an excellent PreK-12 public school system with small class sizes and a low teacher/pupil ratio. In 2002 a new elementary wing was added to the high school building at 41 Alma Street, housing all grade levels under one roof. The quality education offered by the Benton School District prepares our students for the opportunities and challenges that lie beyond the school’s doors. Having high expectations for all students, our teachers focus on academic achievement and character development that will enable our students to live and work successfully in the 21st century.